Today, a new plan to bring about an end to cholera has been launched by the Global Task Force on Cholera Control (GTFCC). The strategy, titled ‘Ending Cholera: A Global Roadmap to 2030’ provides a clear plan to reduce worldwide cholera deaths by 90 percent by 2030, with the hope of eliminating the transmission of this deadly disease in up to 20 different countries. Once a person is affected, they tend to suffer from severe diarrhoea and dehydration. This then spreads rapidly in conditions where people don’t have access to facilities for washing hands and accessing clean drinking water. An effective mechanism of coordination for technical support, resource mobilization, and partnership at local and global levels – with the GTFCC providing a strong framework to support countries in intensifying efforts to control cholera. "We have the tools at hand to prevent them, so let's use them. If you provide water and sanitation, it's enough to stop the transmission of cholera. We've seen that today in countries like Senegal, where we have been able to stop transmission." Chief Exective of the charity Wateraid, Tim Wainwright says that the solution to preventing cholera is “surprisingly affordable” and would cost just $40 per person. This would involve providing access to better sanitation facilities as well as cleaner water. Wainwright goes on to say that, unfortunately: "Looking around the world, the map of cholera outbreaks is essentially the same as a map of poverty and marginalisation. The fact that this preventable disease still sickens 2.9 million people every year and kills 95,000 people is a global badge of shame." 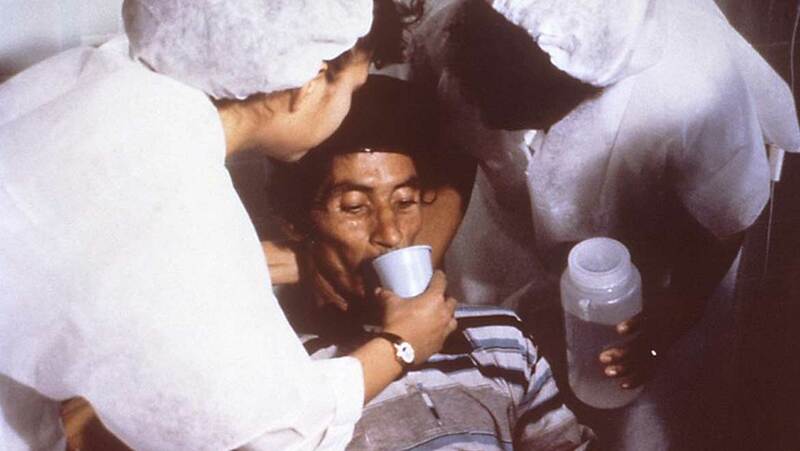 Another important factor in the battle against cholera is the oral vaccine which can be quickly distributed to those who suddenly find themselves in situations where access to clean water and sanitation is suddenly not available, such as when a natural disaster strikes or communities are forced into refugee camps. A good example of this is the refugee camps in Bangladesh which are currently hosting nearly half a million displaced Rohingya Muslims fleeing from Myanmar. Just under a million vaccine doses have been sent to the camps there, in the hope of preventing an outbreak of cholera. The World Health Organisation suggest that the vaccine is extremely useful in “bridging the gap between emergency response and longer-term control” and as such, have approved two vaccines which cost $6 each and provide protection for up to three years.